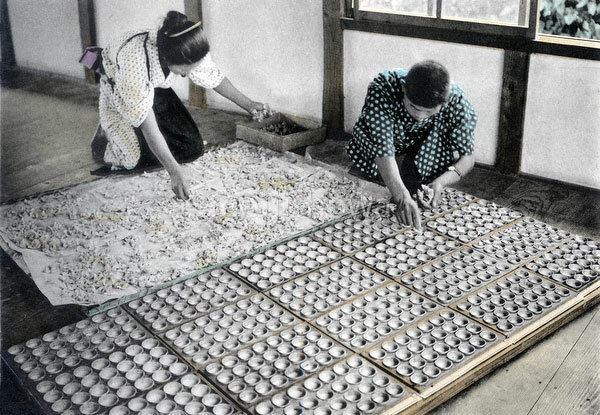 Silk moths depositing silkworms eggs on specially prepared silkworm egg cards. Each silk moth lays hundreds of eggs as tiny as a pinhead. These are divided into diseased eggs (which are discarded), eggs for reproduction and eggs for production of cocoons. This is Image 14 of 17 of “The Silk Industry of Japan,” a book published by Tokyo based Ueda.